Bean saw this one in Harbor Springs, MI. 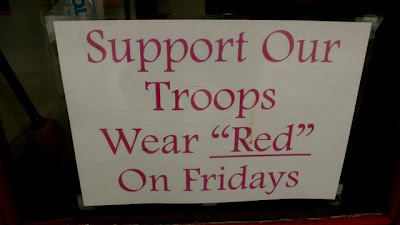 Evidently a variety of colors in the red family support our troops somehow. Kind of like flag pins do. I "think" I'll wear "blue" or maybe "green" my one and only "red" shirt has olive oil spatter "stains".